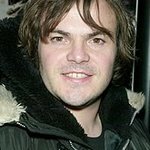 Jack Black and his Gulliver’s Travels co-star Jason Segal are giving back this Christmas by donating the proceeds of their take on a classic song to charity. The pair have released a version of Peace on Earth/The Little Drummer Boy on iTunes, with proceeds going to Blue Star Families, a charity for military families. “BSF is extremely grateful for this gift,” says Blue Star Families director, Mark D. Smith. "This gesture serves as wonderful example of the strong support our military families enjoy for all their sacrifices from the civilian community across the country. To watch a video of the new song, click here.